Amnesia Bilbo Auto Genehtik is a feminized autoflowering marijuana seed that has its origin in the union of an Amnesia Bilbo and a selected Ruderalis. It is a small/medium sized plant, with Sativa dominance, which blooms quickly and easily allows good harvests of dense and tasty buds in the purest style of the legendary Amnesia. The NEVIL BILBO AUTO is a Sativa autoflowering feminized cannabis seed result of multiple crosses of an old Neville’s Haze with Northern Lights Auto. The resulting cannabis plant retains the aromatic characteristics of pure incense and the metallic taste of his mother Neville Haze. 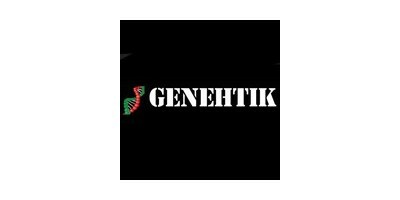 BLUE BONIK is the result from working with one of our Canadian genetics that has been preserved since the beginning of the GENEHTIK seed bank. It is a cross of the well-known KOOTENAY BLUEBERRY with another BLUEBERRY which we have feminized, resulting in this creation rich in aromas and flavors whilst maintaining the original characteristics. Gorila Bilbo feminized cannabis seed is a cross of the North American west coast strain GG4 fka GORILLA GLUE #4.Famous for its large production of resin and very high THC level (25%).It is extremely sticky with aroma and taste are earthy, acidic and citric. Indica effect. Our KRITIKAL BILBO CBD marijuana seed is the cross of our famous KRITIKAL BILBO seed with a high CBD plant. Their offspring produce plants with a THC-CBD ratio of 1.2, which we have found to be correct for medicinal purposes. Medizinal CBD feminized cannabis seed is very suitable for growing for medical purposes.We achieve plants with an average level of 15% CBD and 1% THCEffect is not at all psychoactive, with flavour completely sweet, orangey and fruity. SWEET BILBO, is a cross between one of our Canadian genetics that has been preserved since the beginning of our seed bank, the SWEET TOOTH, the famous award-winning strain which is a cross between Sweet Pink Grapefruit x Blueberry which we have then crossed and stabilized to create our original SWEET BILBO.